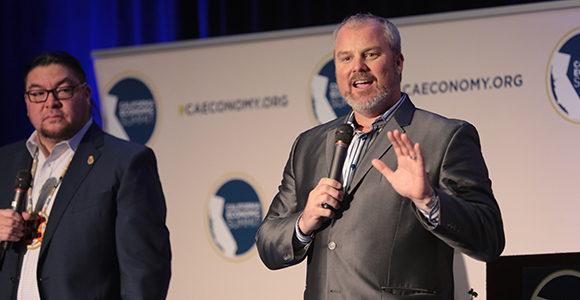 It’s no coincidence the 2018 California Economic Summit is being held this week in Santa Rosa, which suffered dramatic losses during last year’s wildfires. As more than 500 elected, civic, and private sector leaders from across the state convene to work toward elevating and renewing the California Dream, resiliency is the key word as communities continue to face disasters, both natural and manmade. When the Tubbs Fire swept through Sonoma, Napa and Lakes counties October 2017, Santa Rosa was ground zero, where damage was estimated at $1.2 billion, including more than 2,800 homes that amounted to five percent of the city’s housing stock. It was the second-most destructive fire in California history, only eclipsed this year by the Camp Fire currently burning north of Sacramento. Sonoma County responded to the Tubbs Fire by establishing the Office of Recovery and Resiliency. The office leads and coordinates all recovery efforts with a strategic, long-term approach. Its priorities include developing an integrated framework for recovery as well as to develop and leverage relationships throughout the region, including community organizations, private sector leaders and neighboring jurisdictions to work collaboratively toward recovery. Resiliency is the theme throughout the Summit as participants work toward ensuring resiliency in every community. California is facing the disruptions on two fronts. Rising costs and changes in the workplace are creating social and economic dislocations. And natural disasters such as wildfires are occurring more frequently due to climate change. In addition, addressing poverty is one of the greatest challenges to the state, which has the highest poverty rate in the country when you factor in costs like housing. The 2018 Summit has focused its agenda on strategies to reduce income inequality, promote economic security and restore upward mobility in every region. Breakout groups discussed and proposed strategies to tackle the issues of how to create more affordable and sustainable housing, train more skilled workers, accelerate water sustainability and resilience at a regional scale, create more livable wage jobs and support rural California. 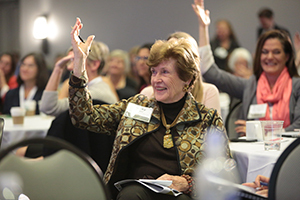 A new priority at this year’s Summit is integrating early childhood support systems across issues and sectors through a partnership with First 5 California. Also announced today is the creation and development of the California Dream Index, a scorecard to track how the state is doing on economic mobility. Jeremy Avins, associate principal Redstone Strategy Group who also worked at The White House Office of Budget and Management, will head the effort. Tomorrow, the Summit will reconvene and sharpen strategies that will become the 2019 Roadmap to Shared Prosperity, the action plan for members of the Summit network for the year ahead.